Coming up with a perfect Nurse Resumes requires a whole lot of research. Depending on the key roles that the position asks for, you will be required to come up with descriptions and competencies that give you an edge over other candidates. It is very important that you carefully process and lay out the information in a resume. Here we discuss the several different formatting options that are admissible in the industry. 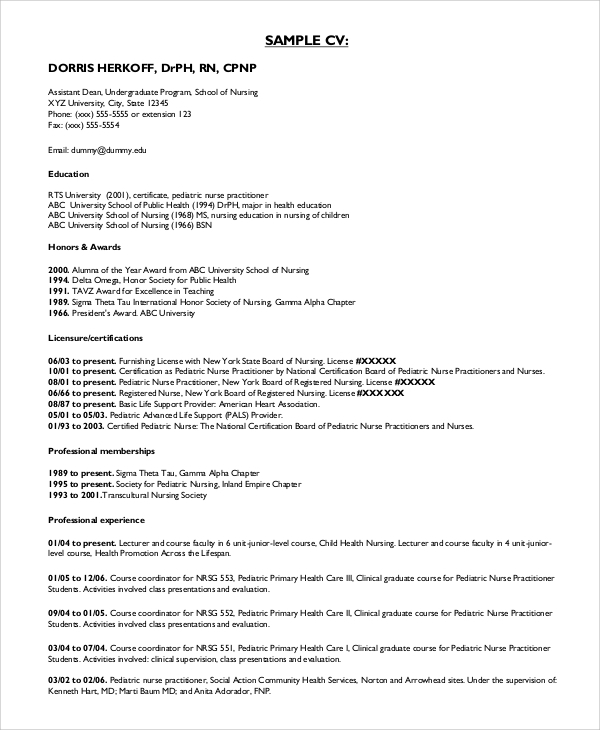 A nurse resume highlights more of people and personal skills apart from the details of education, training, practice, experiences and affiliations. This template offers a professional looking layout for putting down the information in a comprehensive format and will be key to getting though the selection process. The following templates offer several sample nursing resume from candidates who are fresh graduate and have minimal experience in a professional work environment. The highlight of the resume is however on the personal skills and people skills that make one suited for a nursing job. 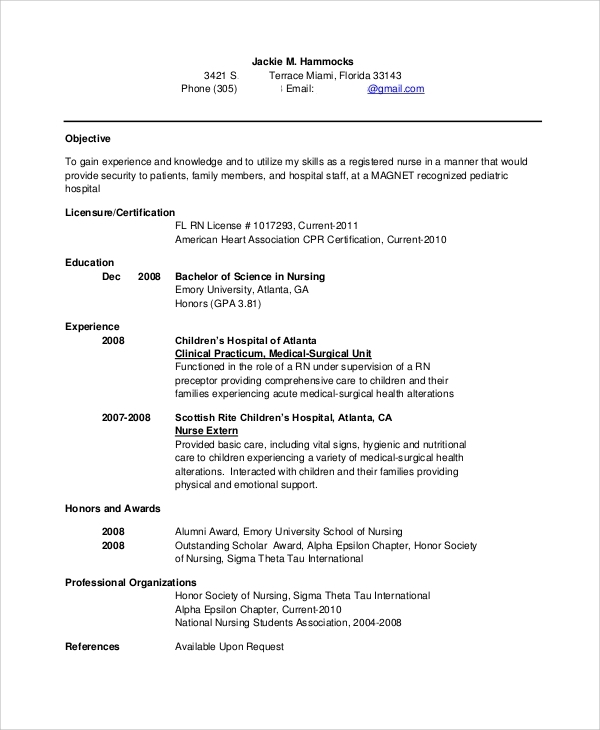 A basic nursing resume, the formatting here is very clear and simple and incorporates necessary heads including job objectives, education, clinical experience, work experience, certifications, achievements, awards and other personal skills. The main focus is however on the past positions held by the candidate in related jobs. Another unique resume format for nursing candidates, this resume offers important heads like Education, Experience, Language Proficiency, Work Experience, Certifications, Licenses, Activities/Achievements and References. 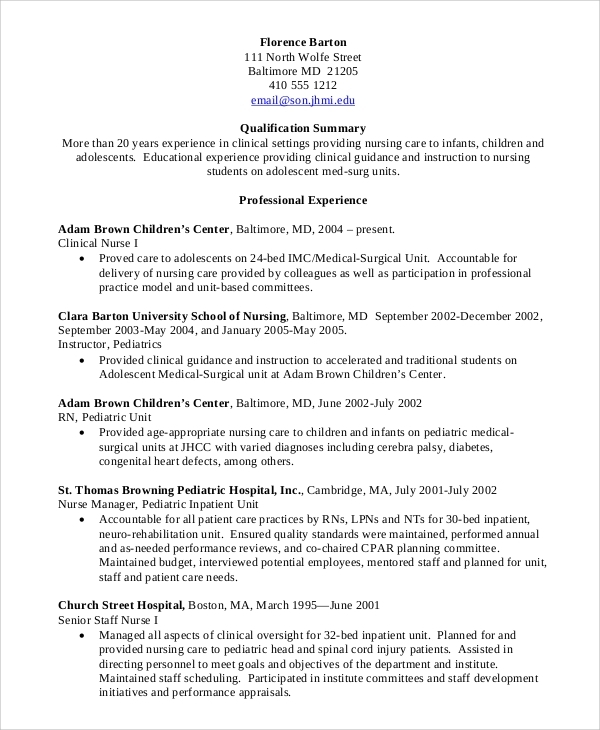 This resume template is perfect for a senior nursing job. 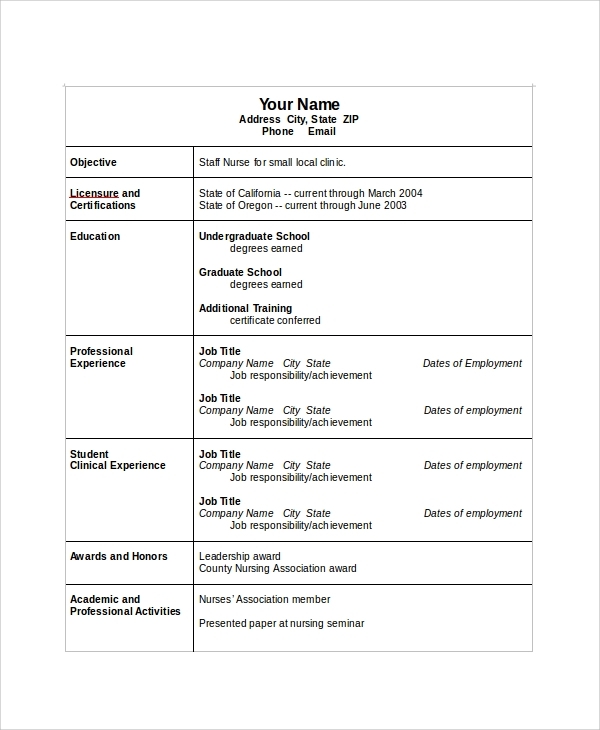 Apart from the resume sample, the template also includes detailed instruction on how to fill up the resume and important things to remember when doing so. 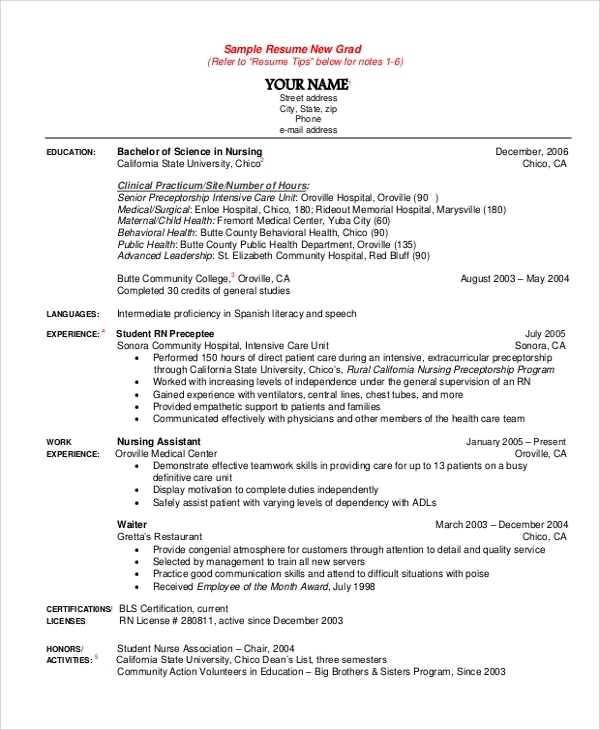 When applying for the post of a nursing student, the resume should be treated as a resume for internship and consequently highlight the personal skills of the candidate apart from his/her education, professional experiences, certifications, community experience, volunteering and anything else that proves the people skills of the candidate. 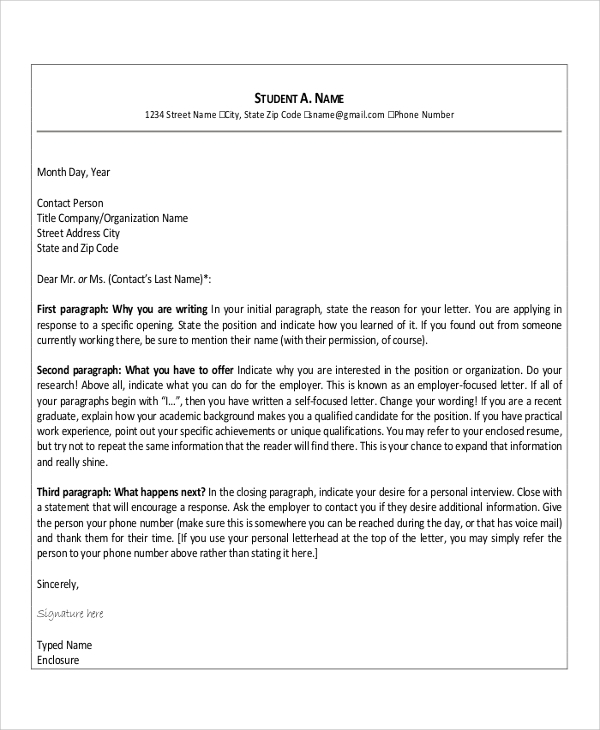 This template also comes with detailed instructions on the things that need to be included in the resume and the formatting of content. 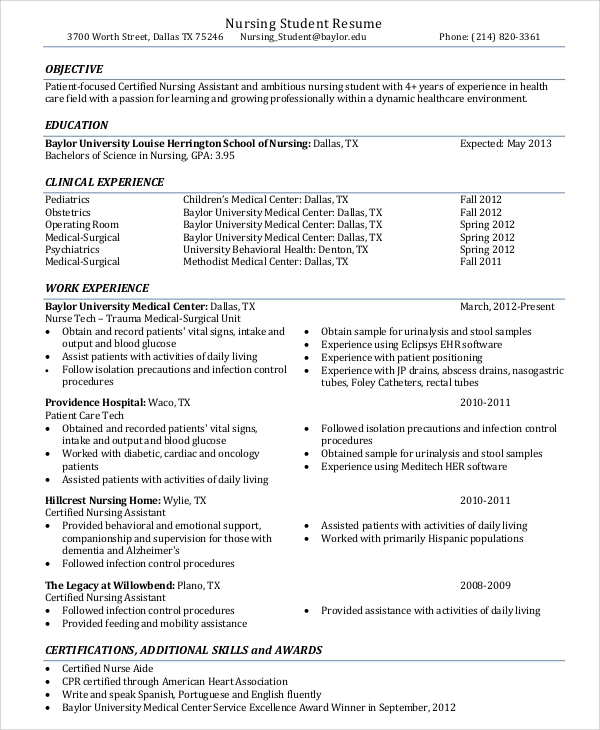 Why to come up with a Nursing Resume? A Nursing Resume is important as it makes the candidate stand out against several others applying for the same job. Nursing has been quite of a popular career among both women and men but it requires some specific skills. This is what the resume informs. Who needs a Nursing Resume? 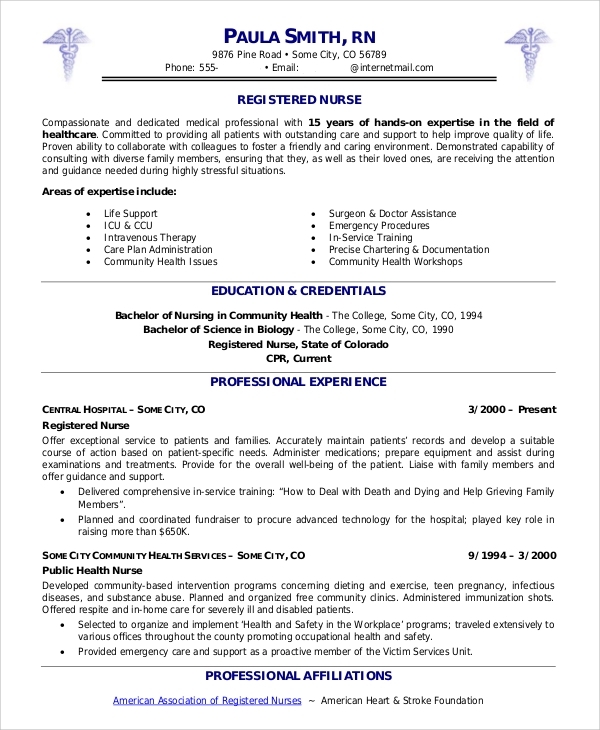 Anyone looking to start working as a nurse in a professional setup; be it for an internship position, a part time job or a full time career needs to come up with a Sample Nursing Resume. This includes fresh graduates, high school pass outs looking for experience and senior nursing professionals. 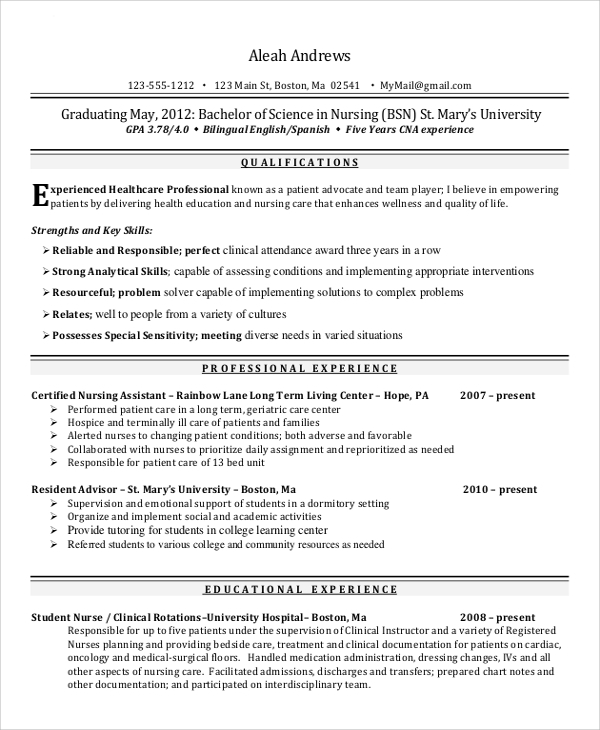 All the above nursing resume template are offered in .PDF and will be a great reference to work on. Read them well and put your candidature in the best light.